For birthday celebrations, there's something special about having a homemade touch! 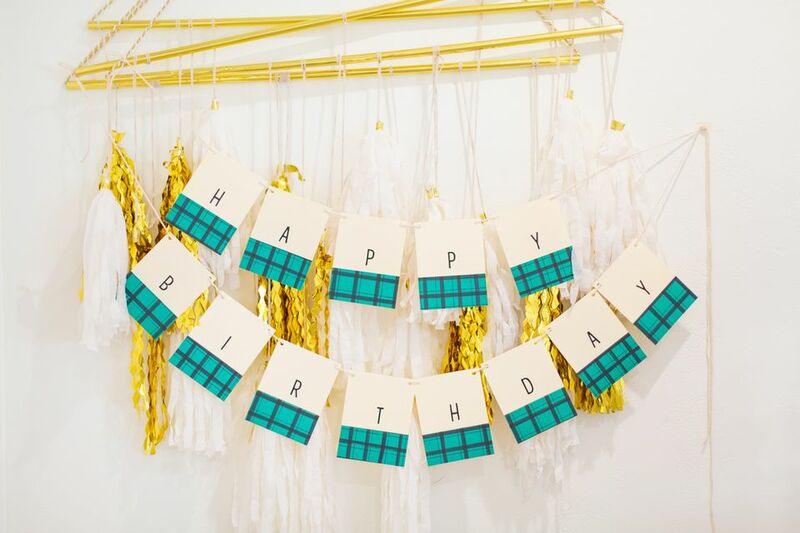 This simple birthday banner is so fun and festive, but is also so simple, you can make it in a snap. There are no fancy cutting tools involved, so you can create this project with just the items that you already have in your supply cabinet. 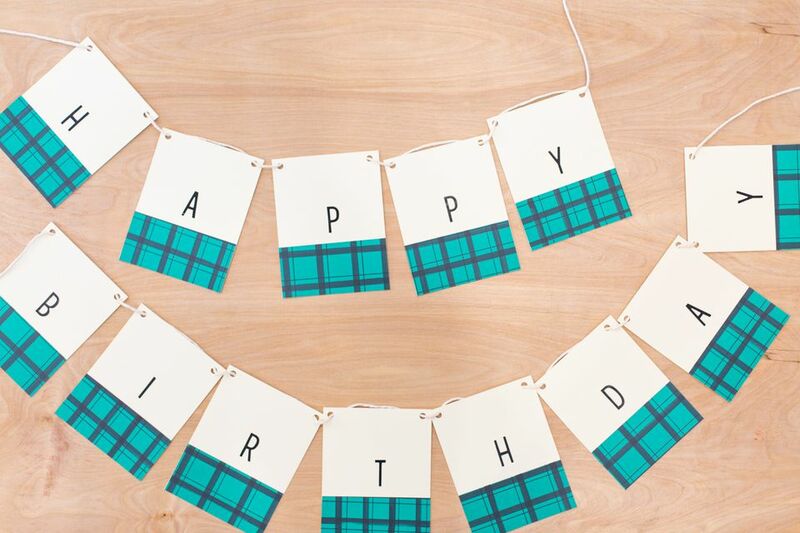 Make a personalized birthday banner for friends or family on their next annual celebration and they'll definitely be feeling the love! As you're planning, consider the theme of your birthday party to make the banner fit the festivities. You can customize colors, paper patterns, flag shape, and even the style of your alphabet. Start by cutting your cardstock. If you're working with standard 8-1/2" x 11" sheets, you can simply cut them into quarters. Measure your first cut, using your ruler, along the halfway point of the long end, cutting the sheet directly in half. Then cut both of those sheets in half as well, creating four quarters. Each of these quarters will be 4-1/4" x 5-1/2". You will need 13 pieces for your banner if you're spelling out "Happy Birthday." If you'd like to customize it with someone's name, make enough sheets to have one sheet for each letter in the name. Cut the patterned paper so that it serves as an accent color and pattern on each banner flag. Cut pieces of your patterned paper that are 4-1/4" x 2". You will need 13 of these for a "Happy Birthday" banner, or more if you're using a name, as per the instructions in the previous step. Using a glue stick, spread some glue on the back side of the patterned paper. Adhere the patterned paper to one end of a plain sheet of your solid colored cardstock. Press firmly along all edges to ensure that it's secure. Be sure that all edges are aligned. Place one letter on each flag of your birthday banner, arranging the letter in the center of the flag with the patterned paper on the bottom of the flag. If you don't have alphabet stickers, you can simply use a black marker to write a letter on each flag. Whether you're using stickers or writing, you'll apply one letter of "Happy Birthday" to each flag. Once the letters are applied, punch a hole on either edge of the top of each flag using a hole punch. Cut a length of cord that's a few feet long. Starting with the "H," insert the cord into the left hole, from the front to the back, and then in through the hole on the right, from the back to the front. Continue in this manner with each letter in order. You can string all letters onto one long cord, or separate the words onto multiple cords as shown here. Hang your banner up and let the birthday festivities begin!